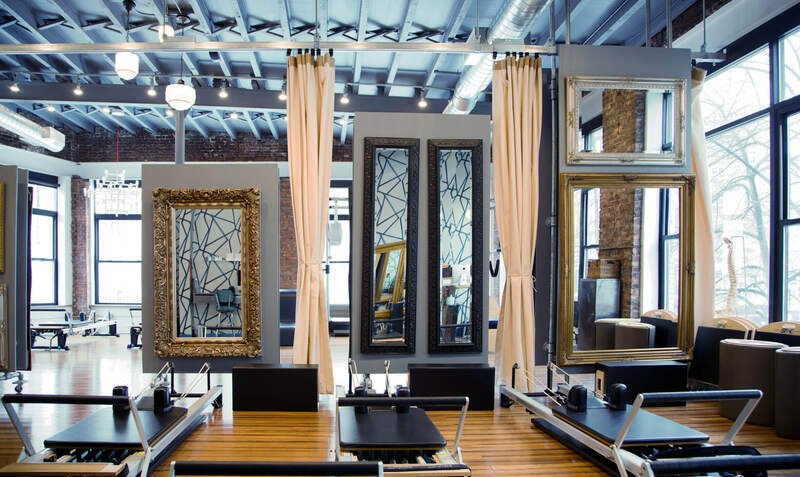 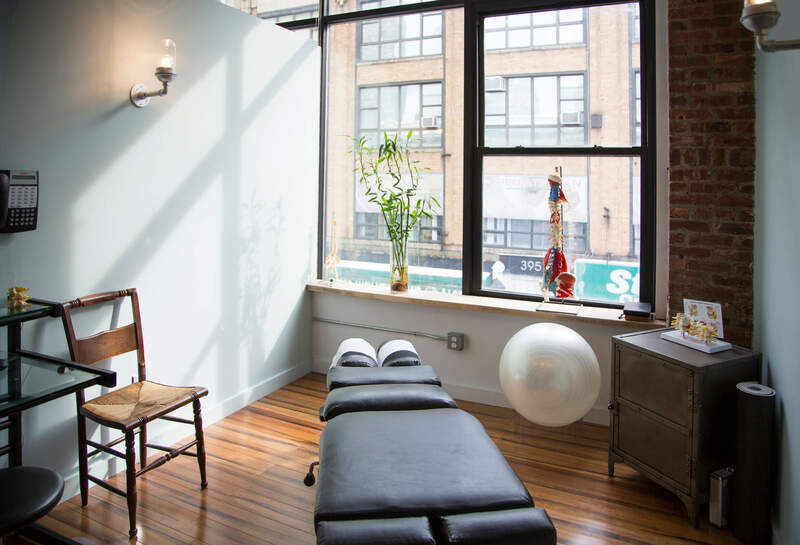 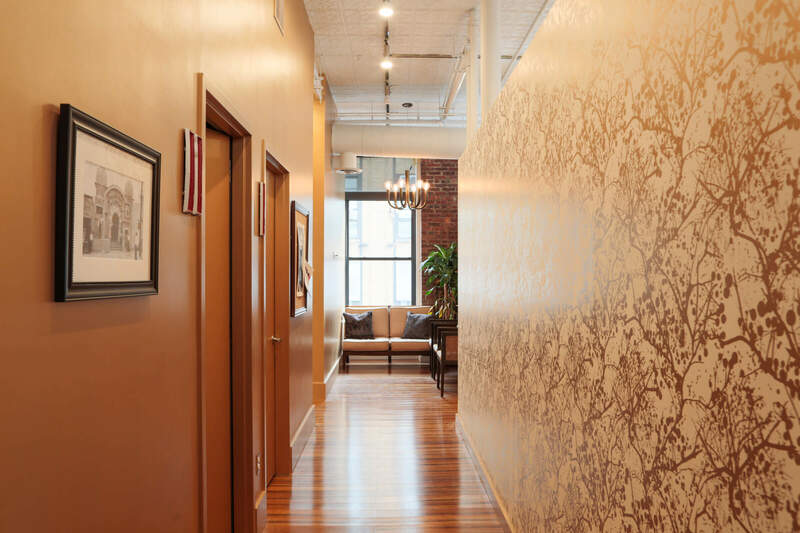 In the heart of downtown Brooklyn, Delson or Sherman united two clinics under one roof. 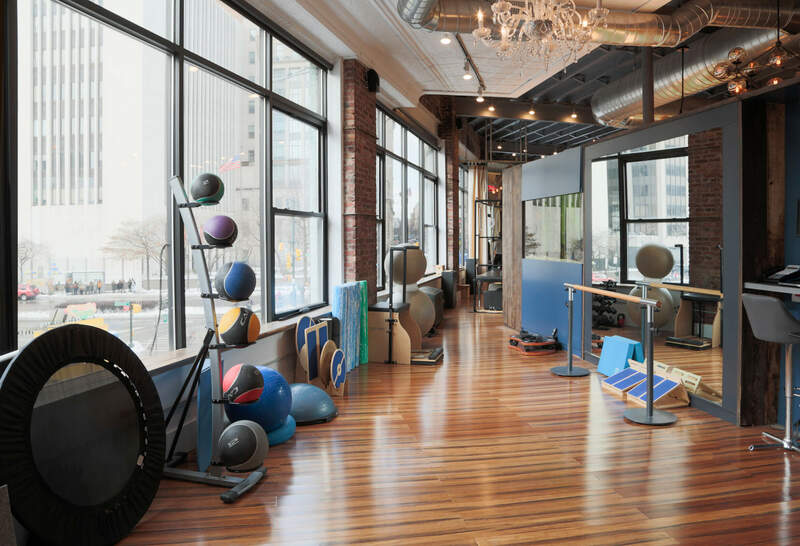 Despite handling diverse parties, a tight deadline, and a tighter budget, they managed to create the largest and most complete wellness center in the county. 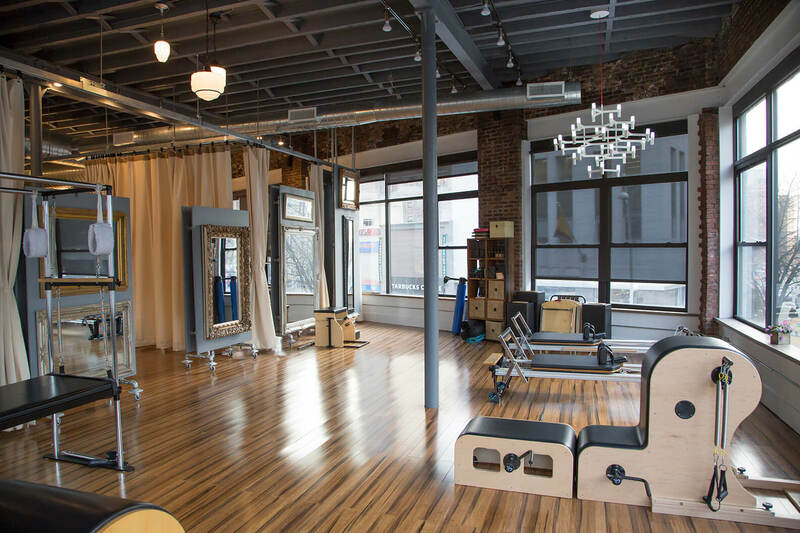 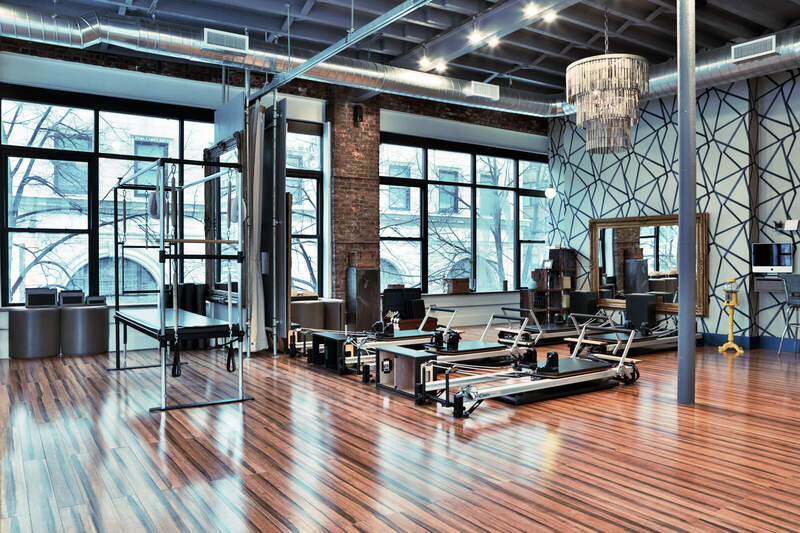 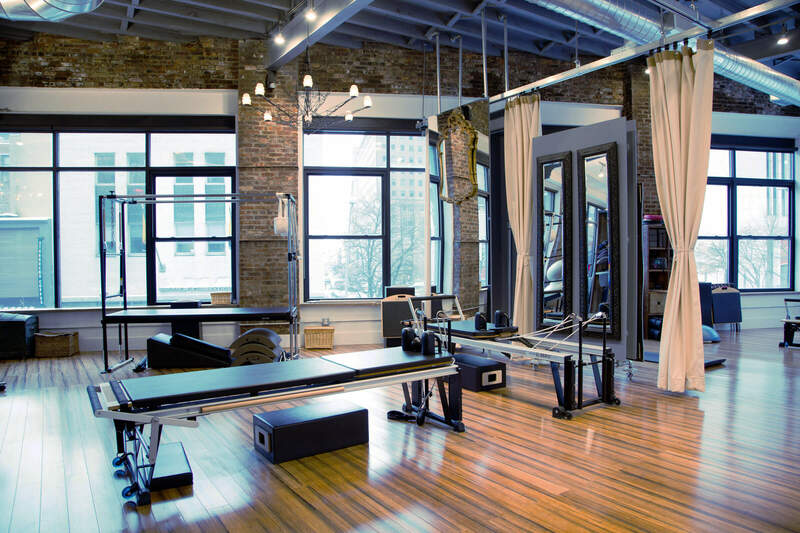 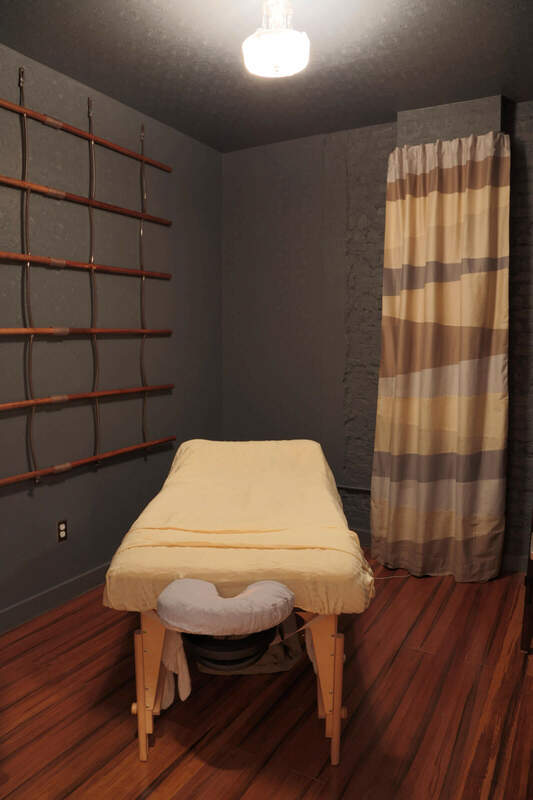 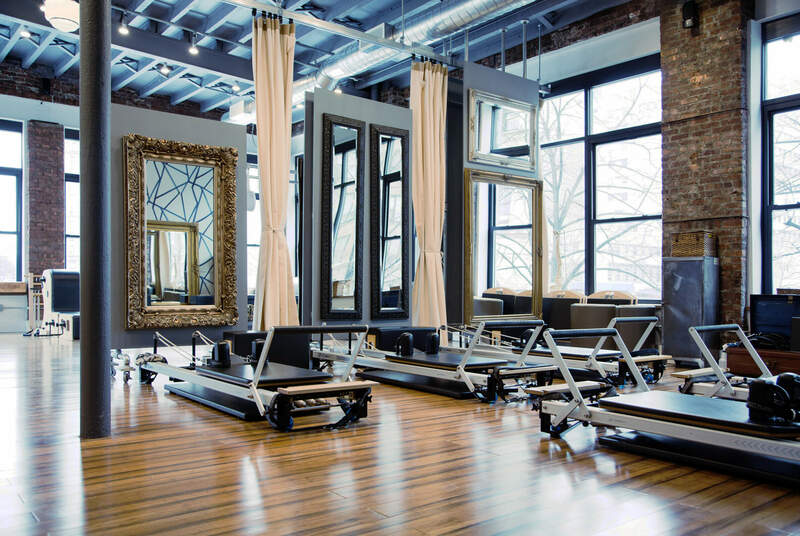 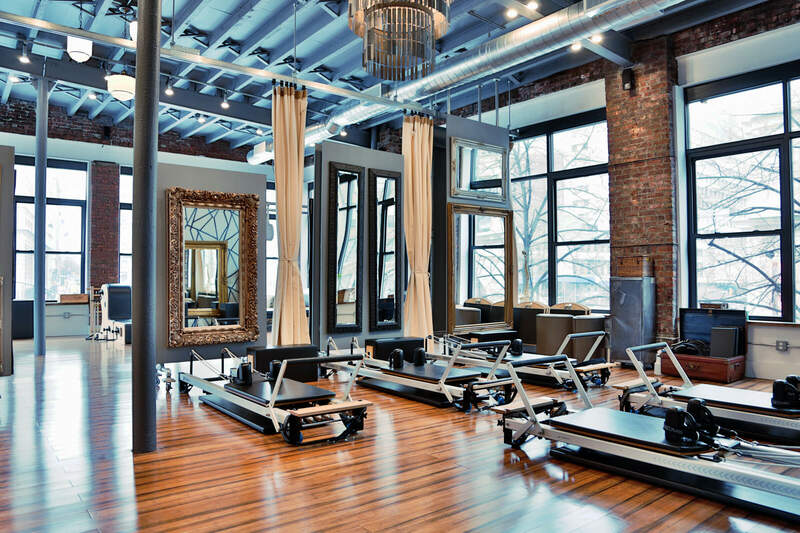 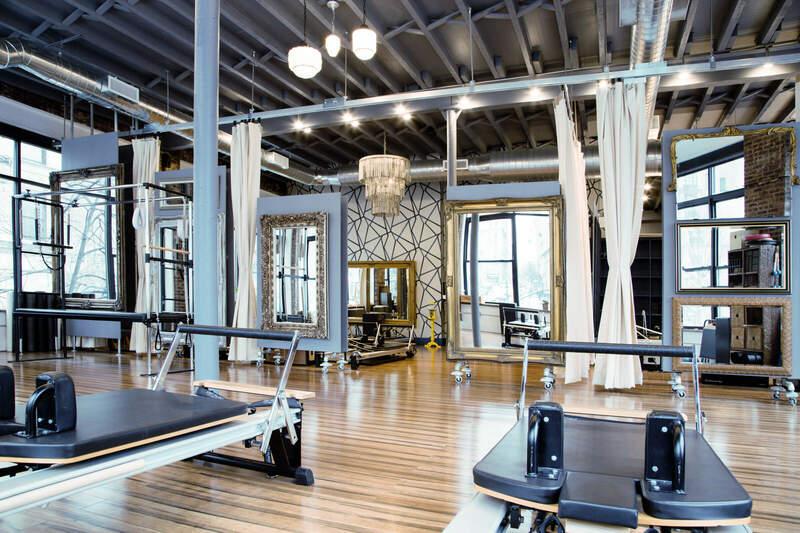 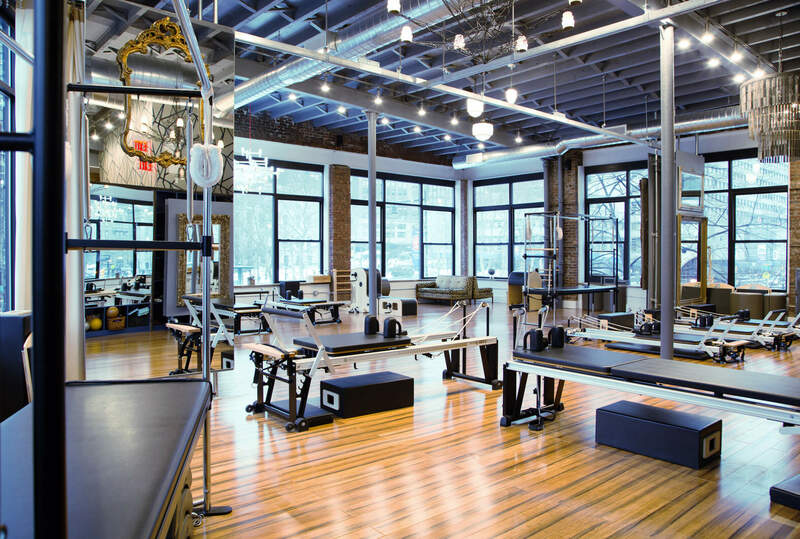 Now, patrons can get Pilates classes, massage, physical therapy, and chiropractic work all on one floor. 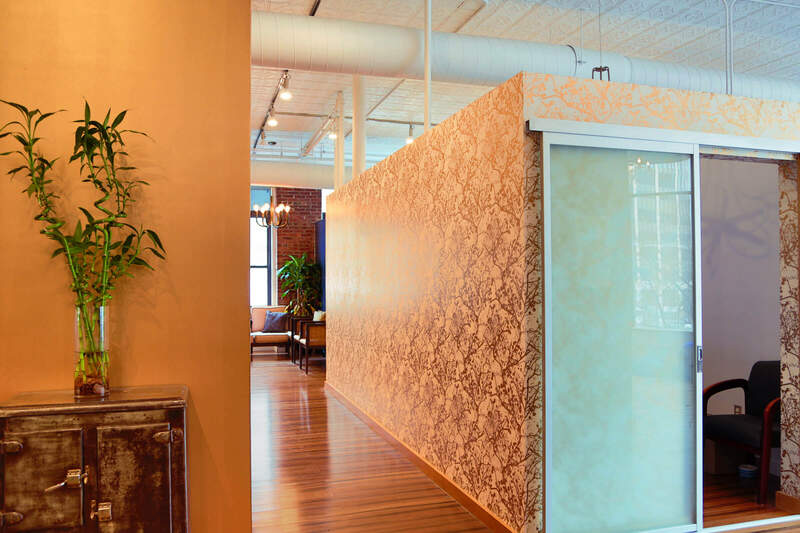 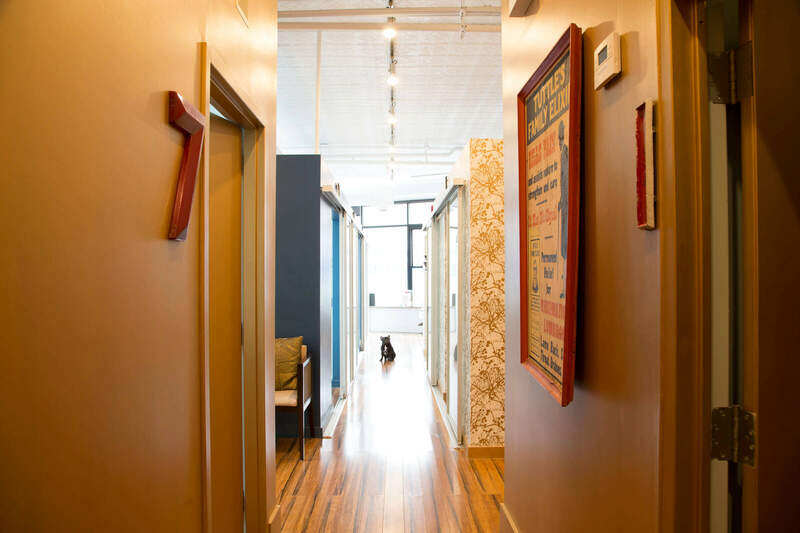 Sunny, open lofts face wide views of the park, while offices and treatment rooms are cozy and private. 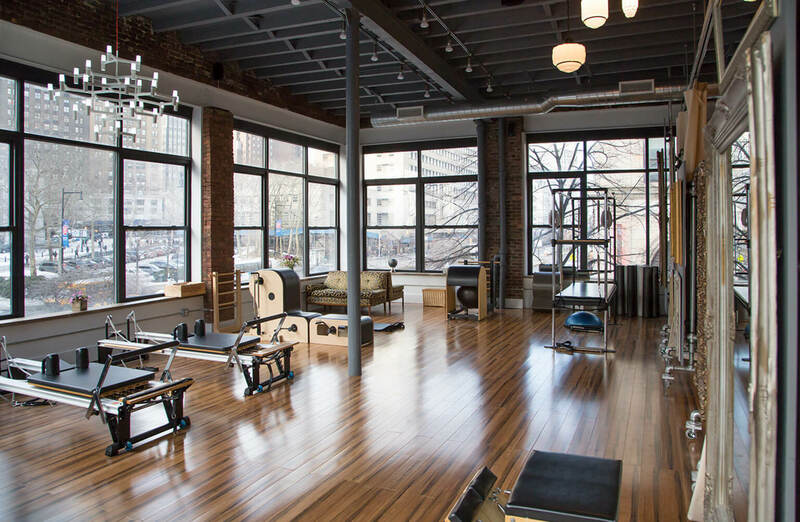 Floor to ceiling windows fill the space with sun and offer wide views of Borough Hall and Cadman Plaza. 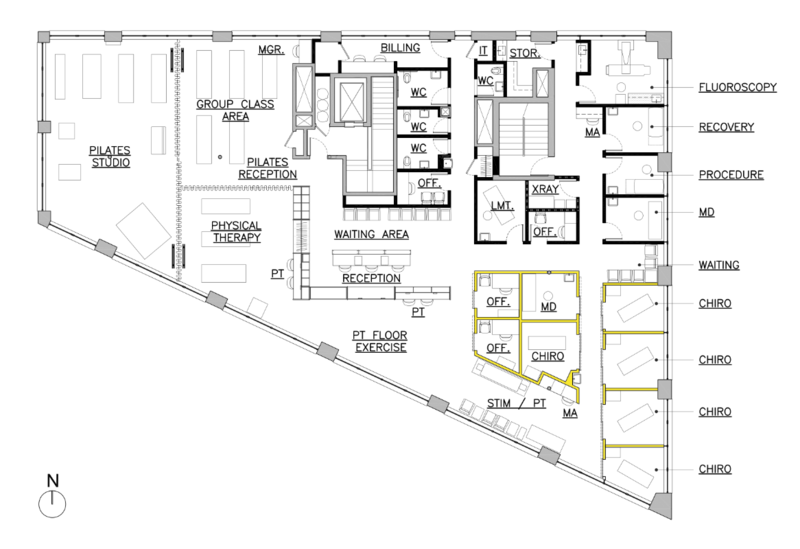 Movable panels divide the spaces for individual care or group classes. 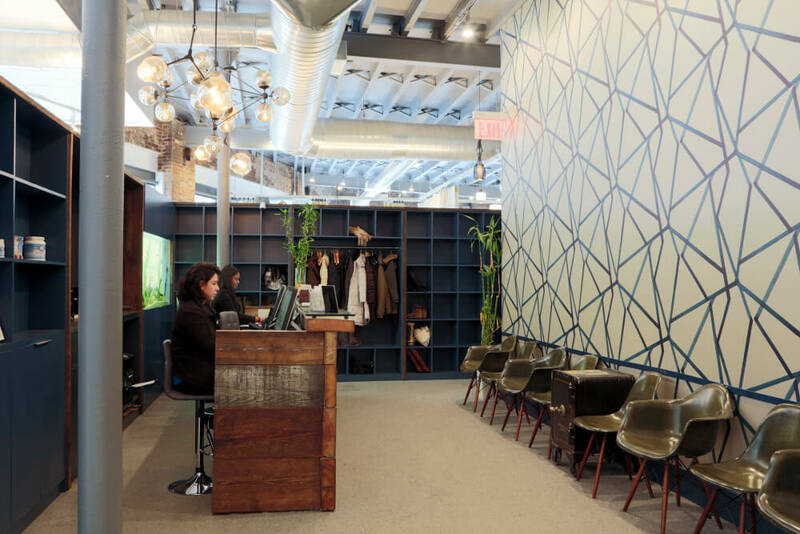 The architects exposed ducts and heavy timber beams but jazzed up the look with vivid wallpaper and strong colors.